Making the Martha dress? I love this part – choosing fabric! 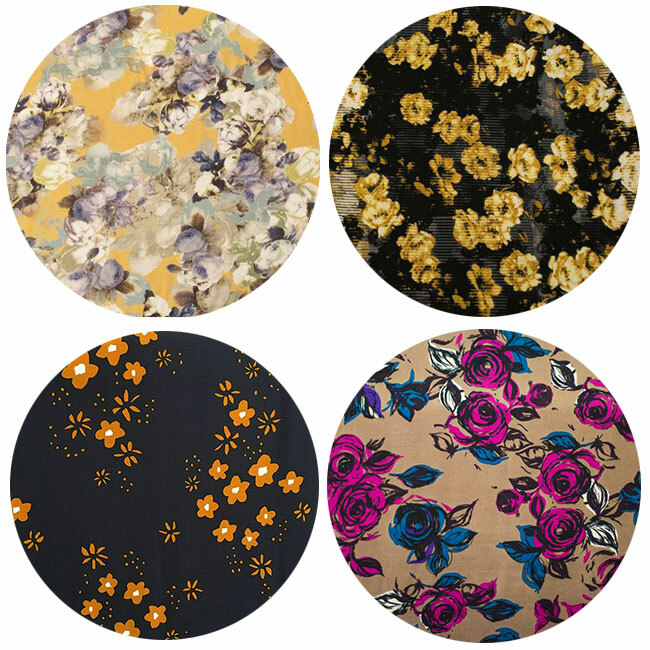 You can sew the Martha pattern in lots of different types of fabrics. And the fabric you choose will have a big impact on how your finished dress looks, hangs and feels to wear. So today I thought I’d talk through some options and share a few potentials I’ve found online. But first… Pinspiration! 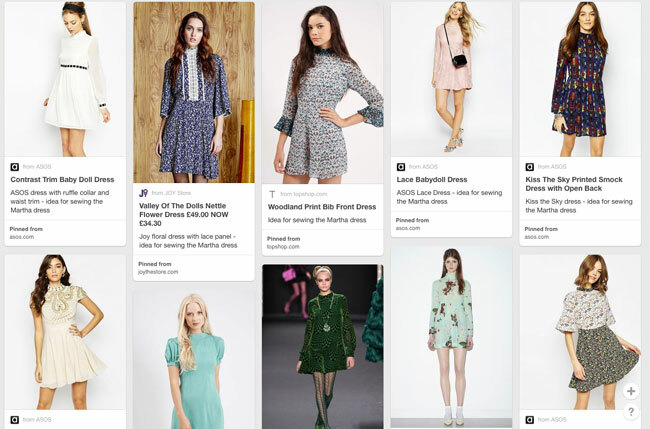 I’ve had lots of fun creating our Martha board on Pinterest – take a look for some ideas for how the dress could look in different colours and prints. Solid colours will show up the princess seam panels more clearly, or go to town with a snazzy print – florals look particularly cute with this dress. With prints, just be aware the bodice is cut on the straight grain and the skirt on the bias (at a 45 degree angle), so directional prints are going to point in different directions on the bodice and skirt. It’s easiest to pick a solid colour or print that goes in lots of different directions. The Pinterest board also has some embellishment ideas – such as lacey panels and sparkly trims. 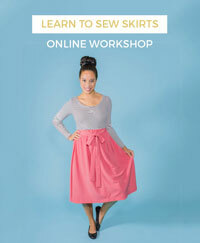 You can have a lot of fun designing your Martha dress! 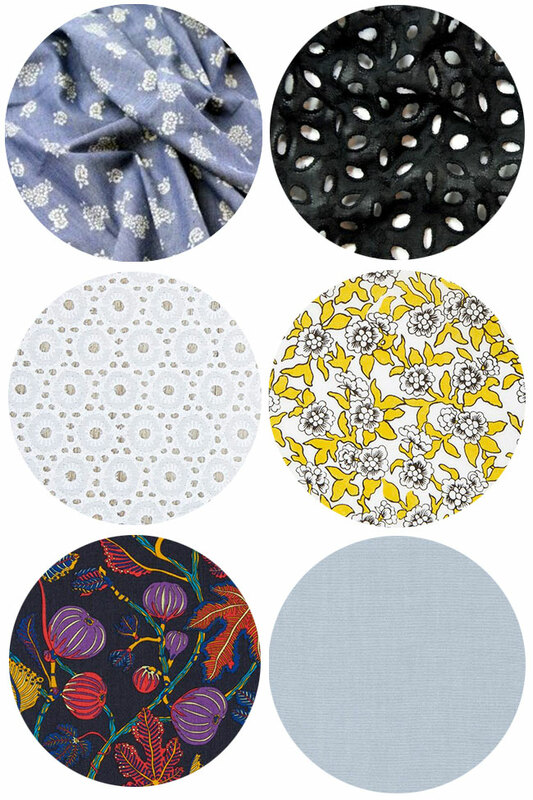 Or I love the idea of creating a boho Martha in a black broderie anglaise, or a soft chambray with embroidered panels. Swoon! 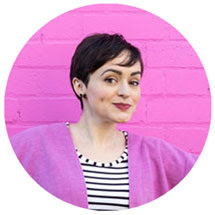 Please be aware that I haven’t handled all of these fabrics – just read the online descriptions – so if you're thinking of buying them, you might want to request a sample first. If the fabric is 150cm (60in) wide, you’ll need 2.9m (3 1/8 yards) for the mini dress or 3.4m (3 3/4 yards) for the knee-length version – 0.2m / ¼ yard less if you’re making the short sleeve version. 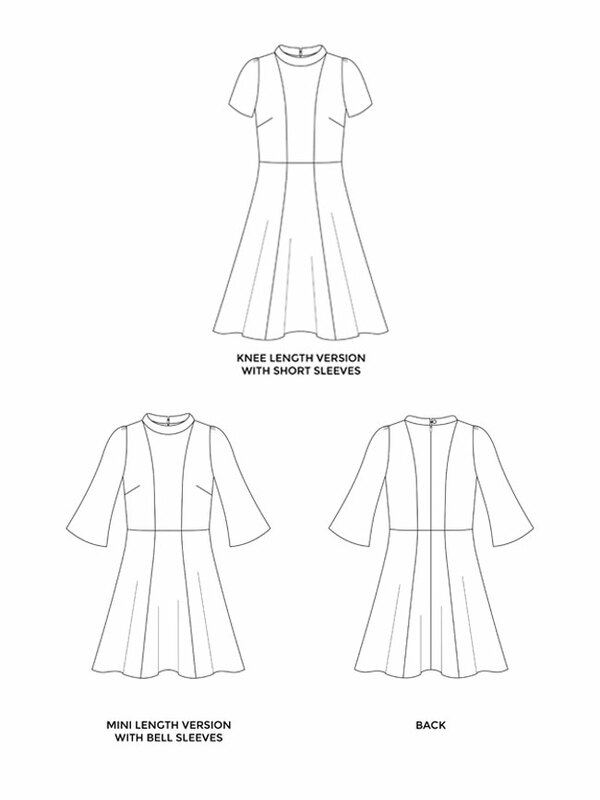 If the fabric is more like 115cm (45in) wide, you’ll need 3.5m (3 7/8 yards) for the mini dress or 4.2m (4 5/8 yards) for the knee length version – again, 0.2m / ¼ yard less if you’re making the short sleeve version. You’ll also need matching thread, a 56cm (22in) invisible zip (AKA concealed zip), 0.25m (1/4 yard) of iron-on interfacing in a similar weight to your fabric, one rounded or fabric-covered button, and an elasticated hairband to make a button loop. And the sewing pattern! 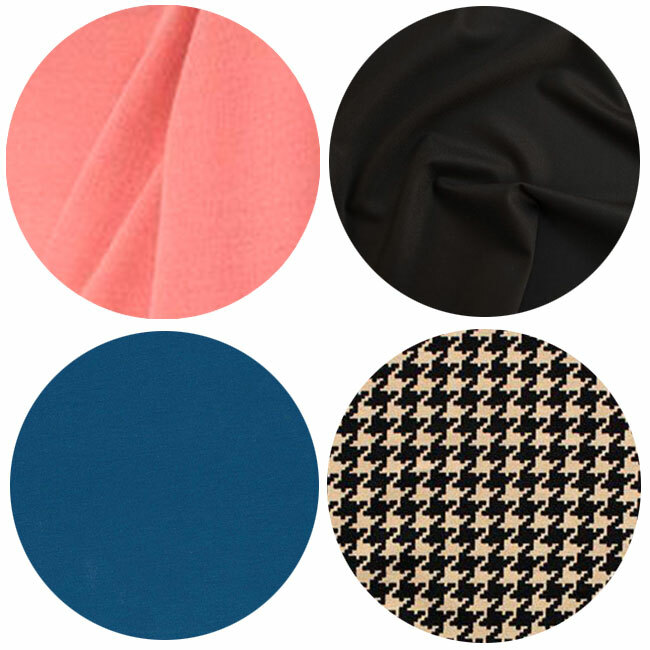 What fabric are you going to use for your first Martha dress? 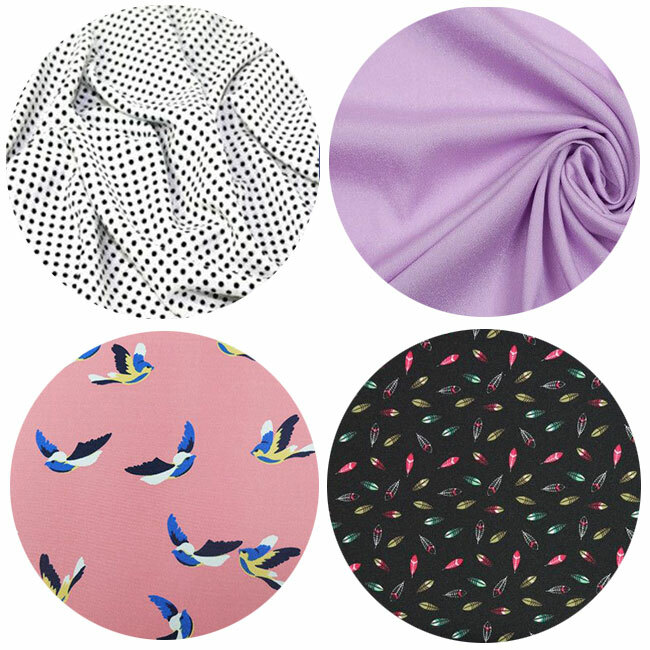 I'd love to see - tag us on Instagram or Twitter @TillyButtons #SewingMartha if you share a pic of your chosen Martha fabric!